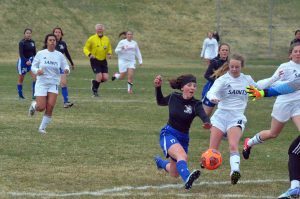 Moffat County High School's Jenna Timmer makes her move, cutting through the Grand Valley defense. 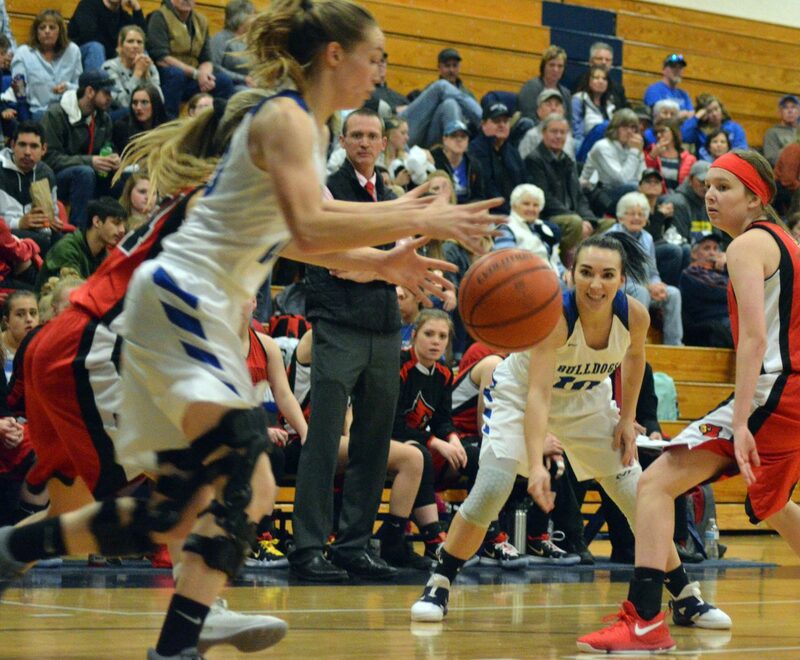 Moffat County High School's Emaleigh Papierski looks to get around Grand Valley's Shaya Chenoweth. 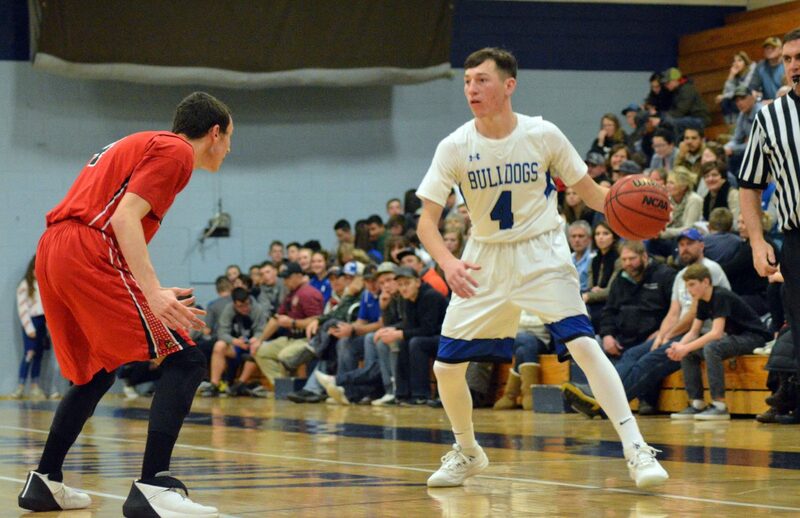 Moffat County High School's Connor Murphy gets the Bulldog offense going. 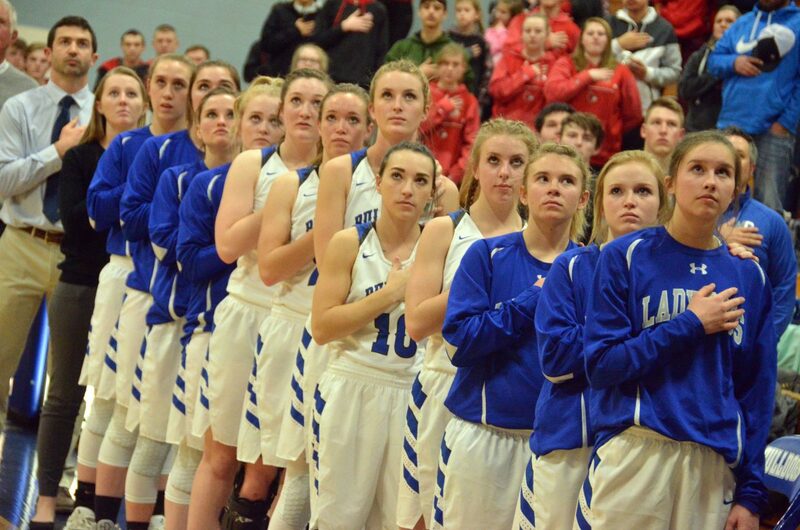 The Moffat County High School girls varsity basketball team observes the national anthem. 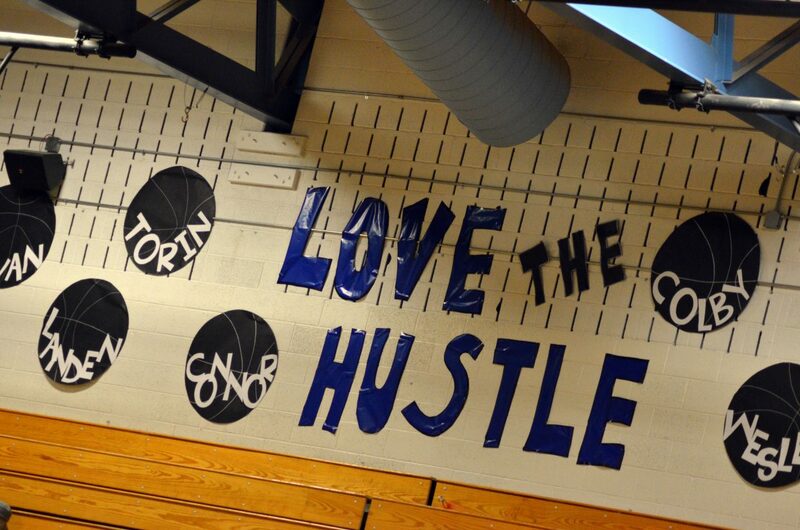 The Moffat County High School gym is decorated with names from the boys basketball team. 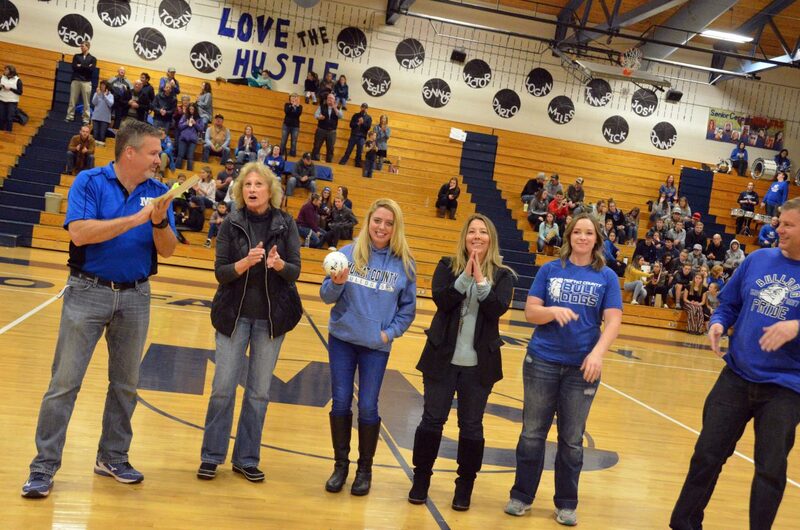 Moffat County High School Athletic Director Bobby Howard is joined by Craig Association of Realtors, who paid crowd admission for Friday's basketball games. 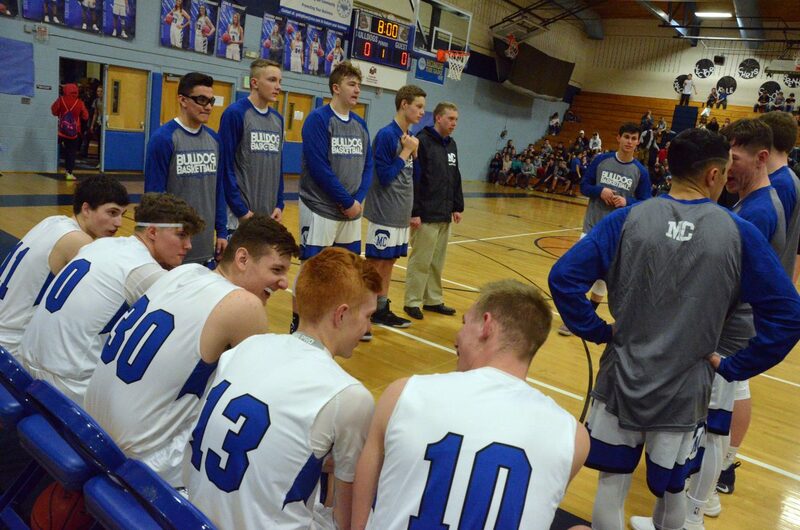 Members of the Moffat County High School boys varsity basketball get pumped up before a game with Grand Valley. Moffat County High School's Quinn Pinnt gets a jump shot in motion. 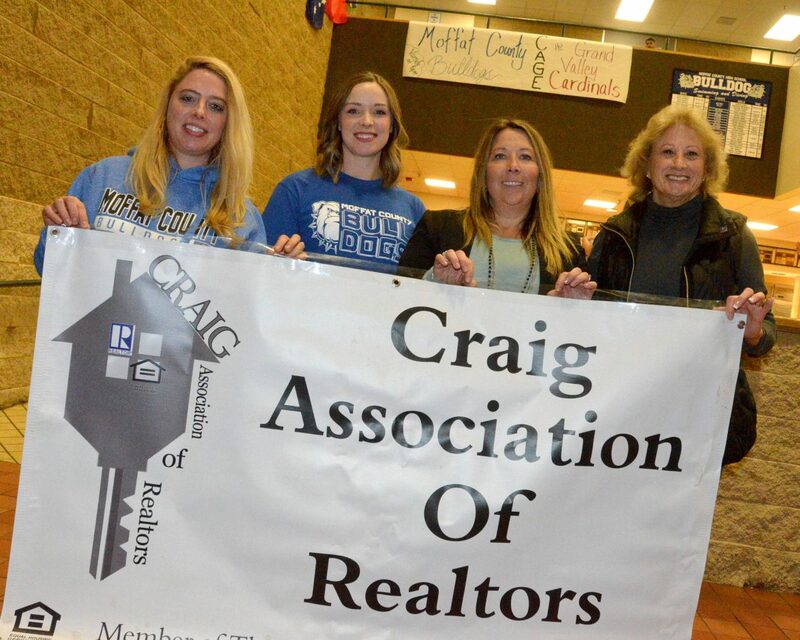 Craig Association of Realtors, who paid crowd admission for Friday's Moffat County High School basketball games, display their banner. 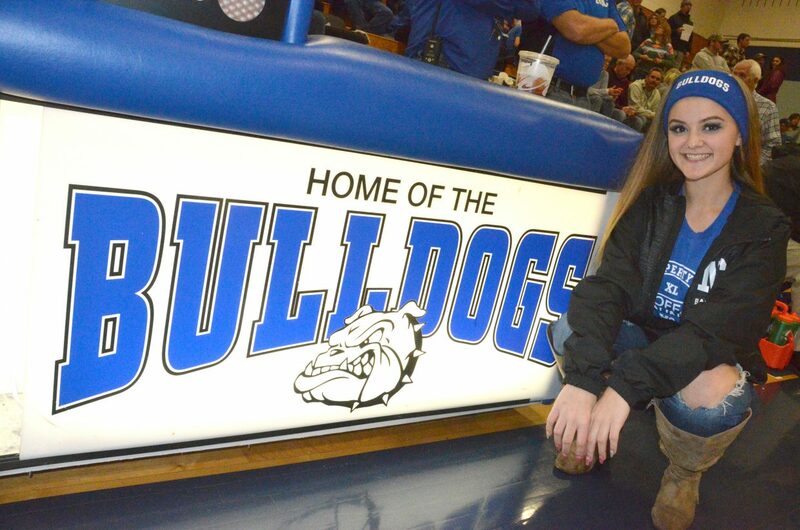 Moffat County High School's Halle Hamilton gets ready to inbound the ball in front of the Bulldog bench. 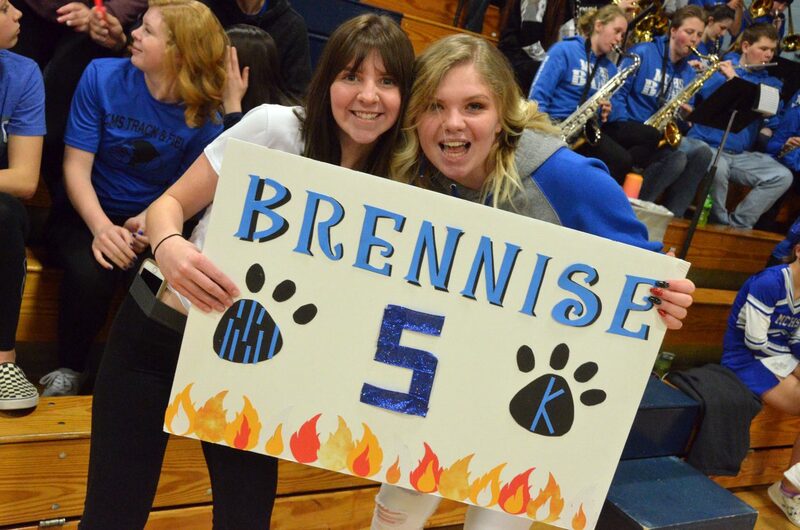 Tressa Otis and Madysen Cramer show their support for Moffat County High School girls basketball. 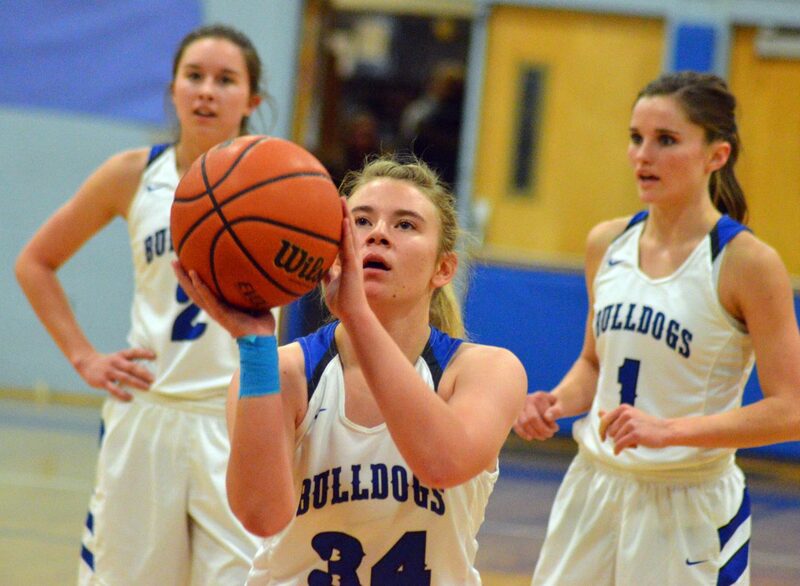 A free throw by Moffat County High School's Jaidyn Steele adds to Lady Bulldogs' early lead. Moffat County High School's Connor Etzler readies to drive into the lane. 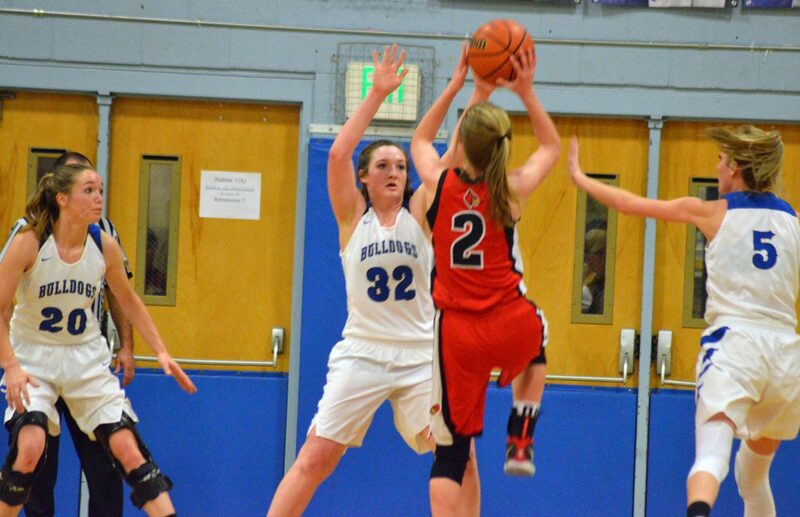 Moffat County High School's Brittnee Meats fights for a rebound. 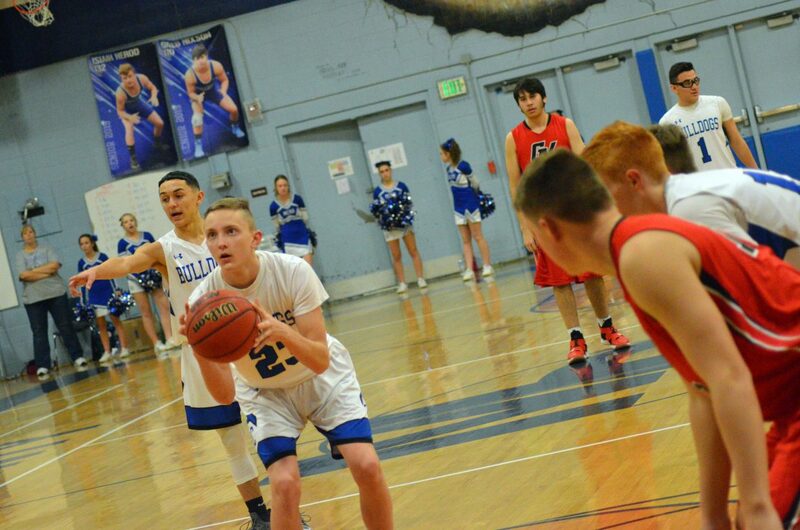 Moffat County High School's Cale Scranton considers a pass to teammate Landen Najera. Moffat County High School's Brittnee Meats focuses at the foul line. 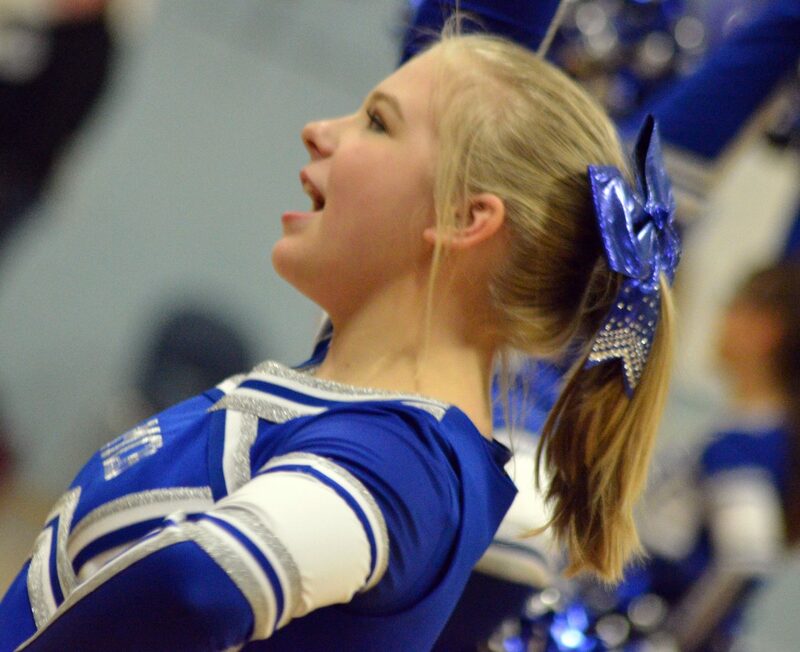 Moffat County High School cheerleader Millie Fritz provides pep during a timeout. 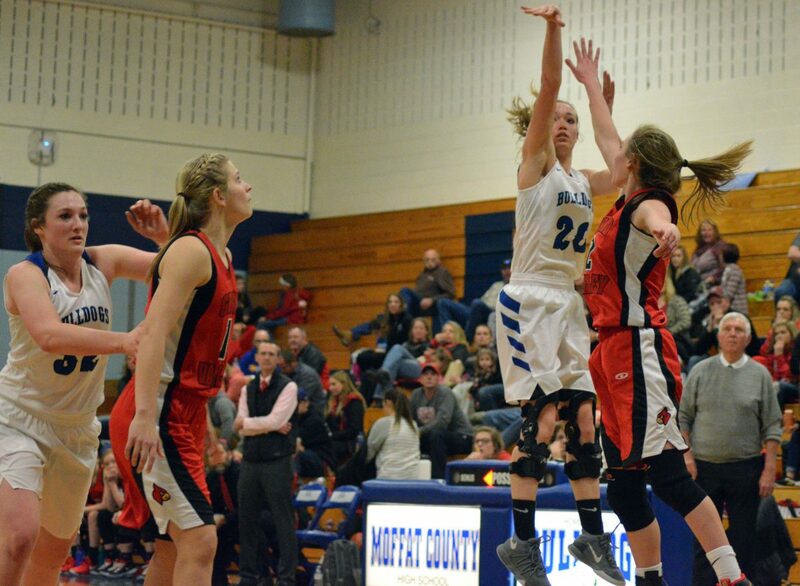 Moffat County High School's Madie Weber shoots a lengthy jumper. Moffat County High School's Tiffany Hildebrandt doesn't back down against the Grand Valley offense. Moffat County High School's Quinn Pinnt fires a bounce pass to Madie Weber. 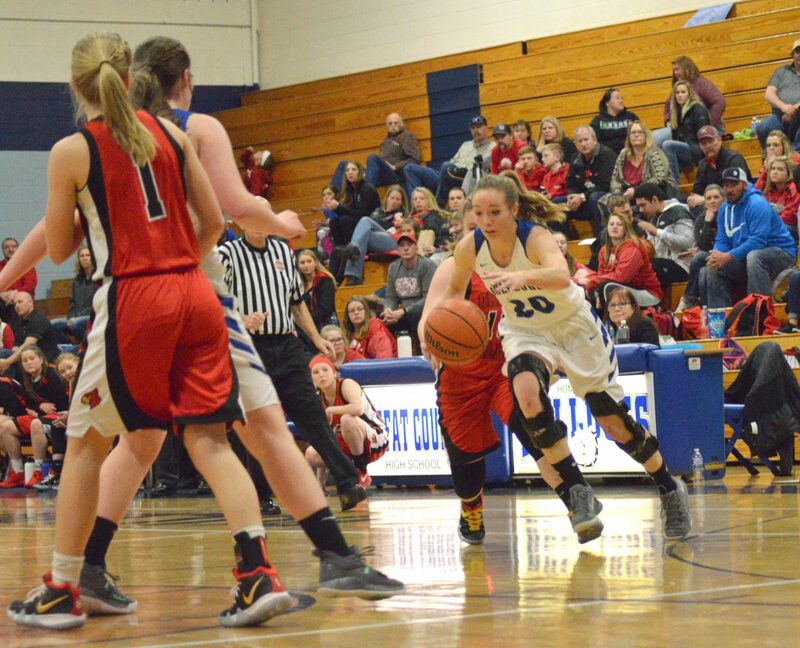 Moffat County High School's Madie Weber drives against Grand Valley. Moffat County High School boys basketball manager Trinitie Beckner displays the score table sign. Moffat County High School's Landen Najera ignores all the Grand Valley defenders for an early jumper against the Cardinals. 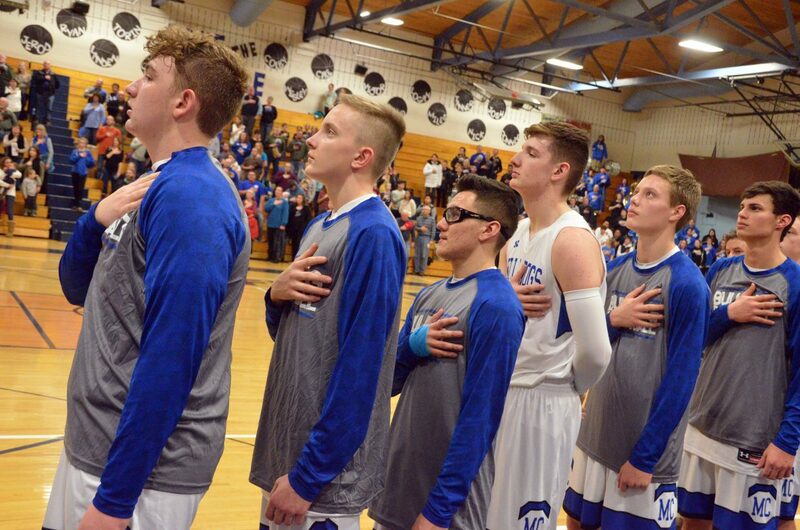 The Moffat County High School boys varsity basketball team observes the national anthem. Moffat County High School's Dario Alexander instructs teammates as Logan Hafey shoots a free throw. 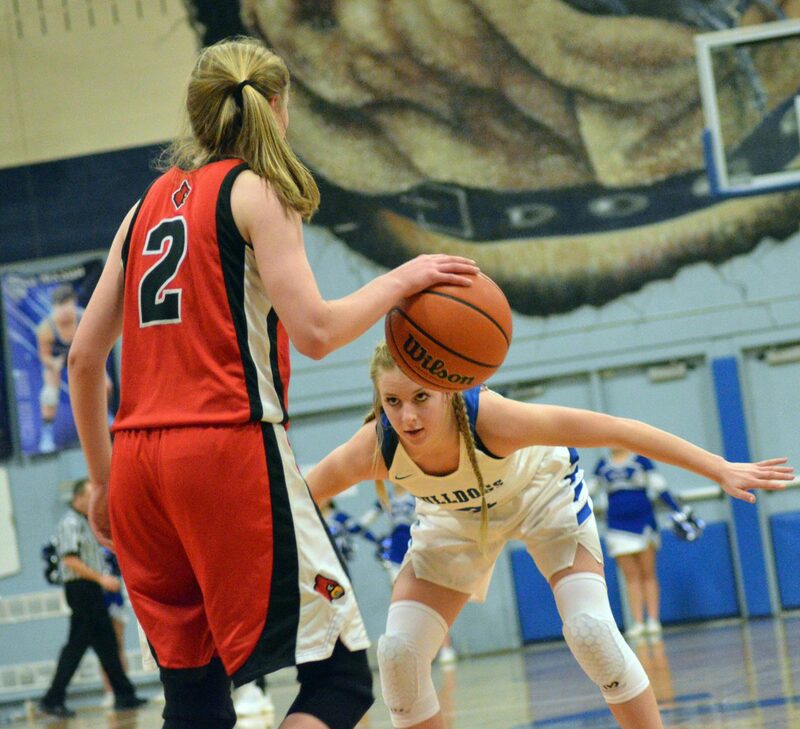 Moffat County High School's Halle Hamilton isn't letting anyone past. Moffat County High School's Jerod Chacon jumps for a shot. Moffat County High School's Torin Reed needs a route to the rim. 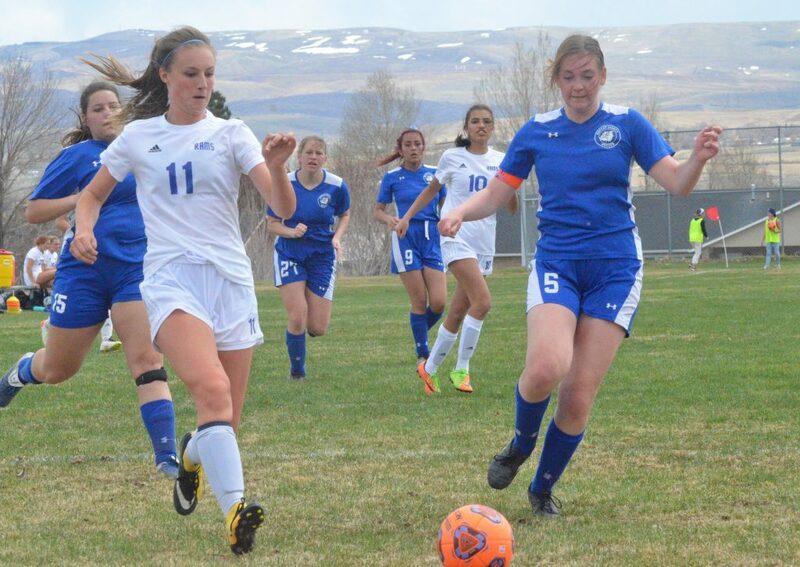 Moffat County High School's Quinn Pinnt reluctantly relinquishes the ball to the referee. 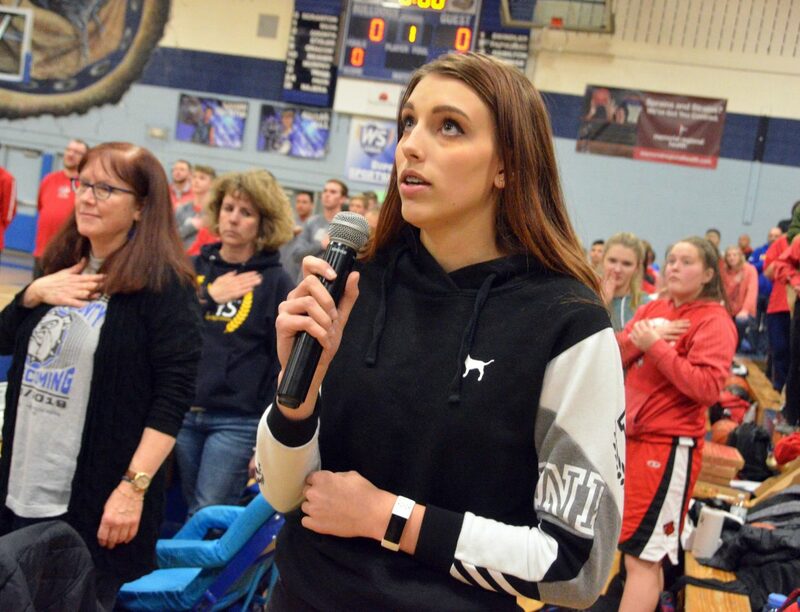 Moffat County High School's Eliana Mack performs the national anthem. 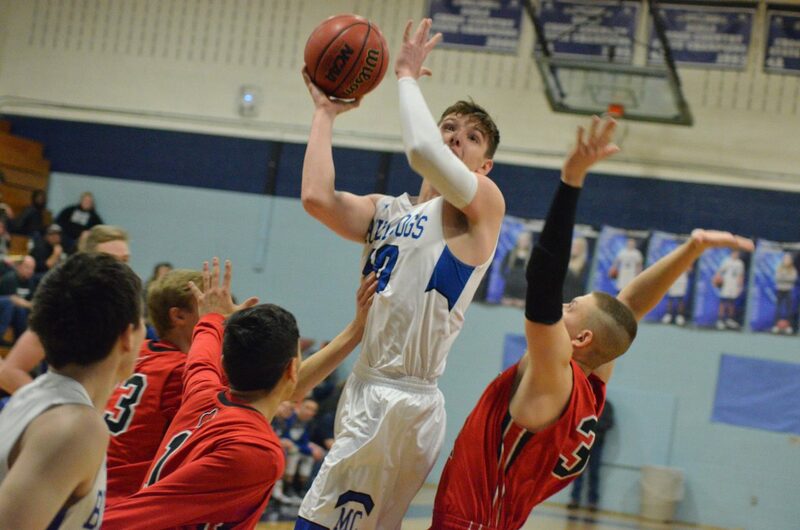 Moffat County High School's Wesley Counts skirmishes for a rebound beneath the bucket. 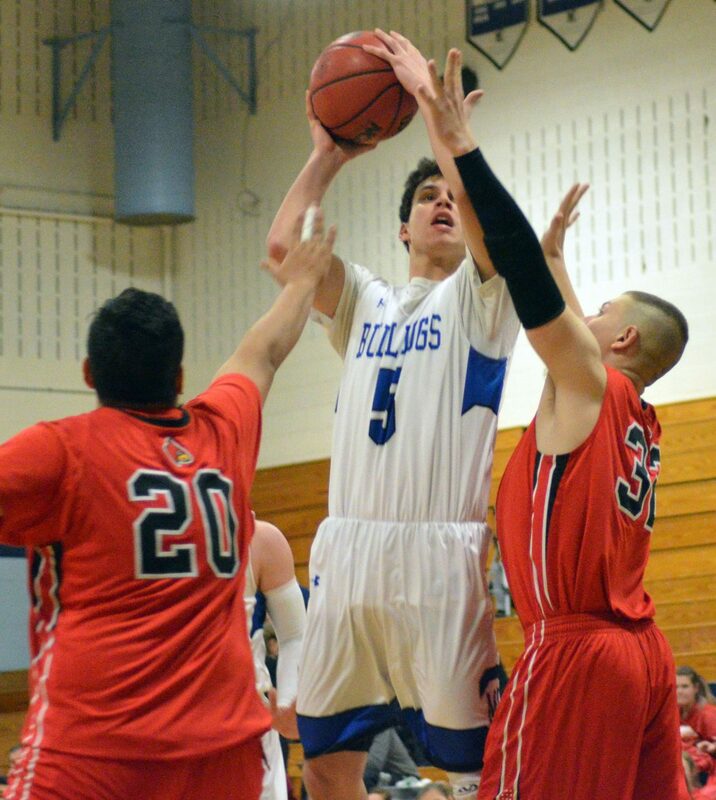 Moffat County High School's Jerod Chacon seeks some help with double-team defense from Grand Valley. Moffat County High School's Cale Scranton looks to pass. 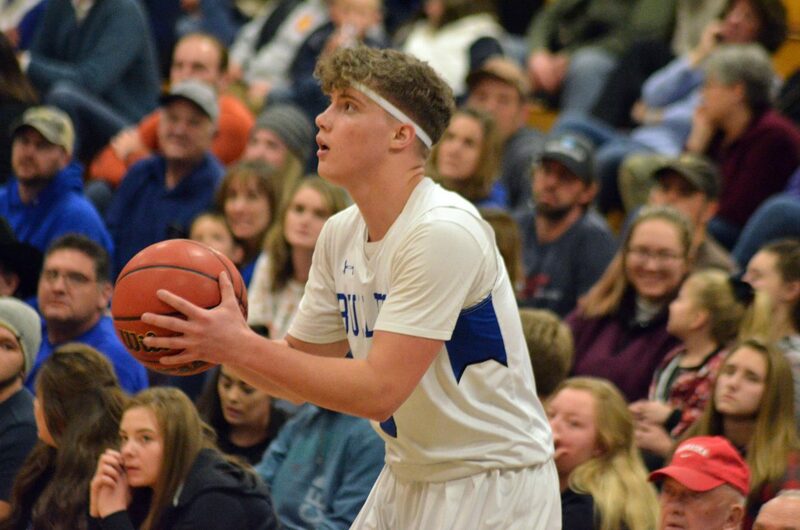 For one Moffat County High School basketball team, Friday night was a chance to catch up with old friends. For the other, well, the night was far from congenial. 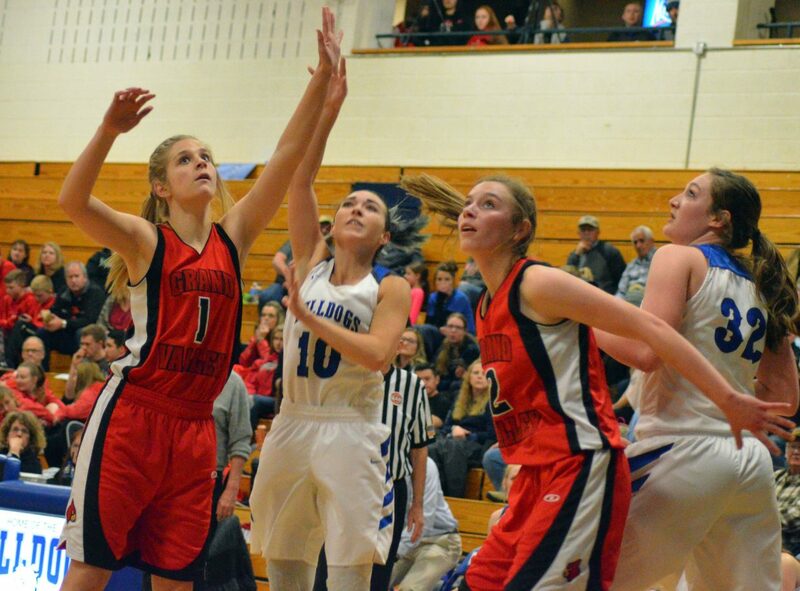 MCHS girls hoops took its third straight win in the 3A Western Slope League with a 40-37 defeat of visiting Grand Valley, while the cold streak continued for Bulldog boys, who lost 67-48 to the Cardinals. As MCHS’s junior varsity squads were laying a beatdown on Grand Valley — girls JV won 39-14 and boys 65-23 — girls varsity was getting their heads in the game. But, before warmups, Stephenie Swindler and Jenna Timmer took a moment to greet one of their former teammates, sharing a hug with Megan Olinger, who previously lived in Crag before transferring to the Parachute school. 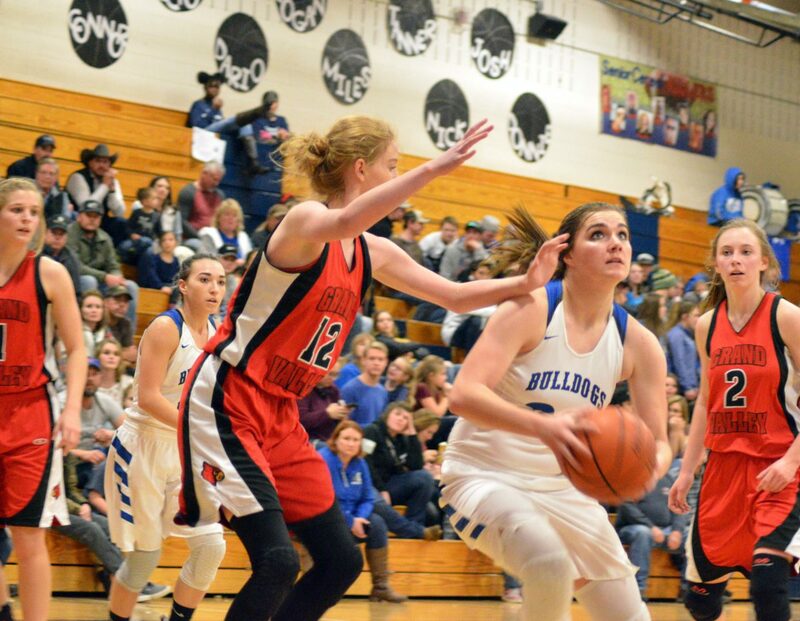 That pre-game pleasantry aside, it didn’t take long for Lady Bulldogs to bear down on the Cardinals, who have routinely been one of their toughest opponents in the conference, as well as their final foe in last season’s district tournament. Shaya Chenoweth — last year’s WSL overall points leader and 3A leader in average points per game — was on their minds but not in their heads despite another high-scoring night, with 17 total points. 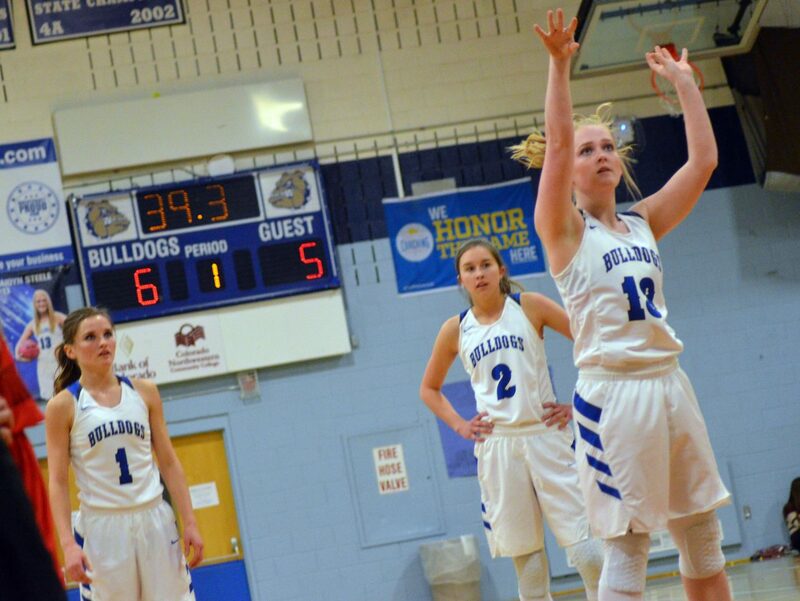 Chenoweth remained quiet on offense for most of the first half, apart from a few free throws, but she and her comrades were nonetheless keeping the Bulldogs in check. A three-pointer by Halle Hamilton kicked off the MoCo scoring, followed by foul shots for Tiffany Hildebrandt and Jaidyn Steele. A 7-all score after the first quarter led to more instances of mirror matches, as Chenoweth swiped the ball from Hamilton beneath the Bulldog basket only for Hamilton to nab it back at half-court seconds later. Likewise, Grand Valley’s Jordyn Pittman stuffed an outside shot by Kinlie Brennise that Brennise would pay back in spades later in the game with some punishing blocks. Slow but steady scoring by Brennise, Hamilton and Hildy kept the Lady Dogs ahead 14-13 at halftime, and while Chenoweth immediately came roaring back in the third period with five quick points to get the Cards their biggest lead of the game at 18-14, the same Moffat trio put together eight unanswered points with the help of takeaways and rebounds. With a 31-24 lead to close the third — capped off with a triple by Emaleigh Papierski — Moffat County girls weren’t taking any many risks to cinch the win, though Chenoweth and Pittman evened it up twice at 33 and 35. Still, staying fierce in the paint was key as Timmer and Hamilton elbowed their way to the rim late in the game. 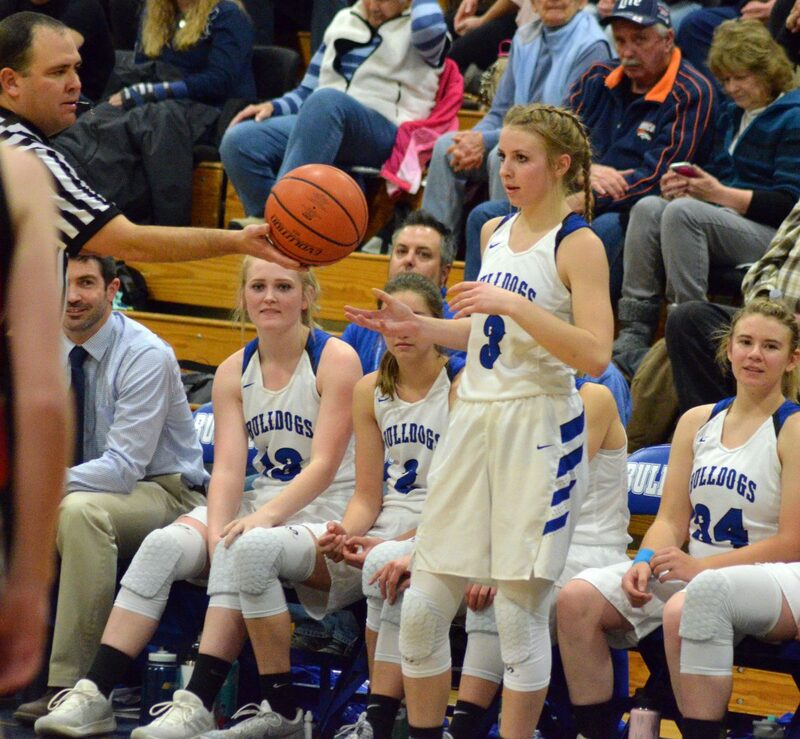 A final field goal by Brennise — who led the team for the night with 13 points — had the Dogs ahead by one bucket, but a timeout with less than three seconds remaining meant there was still time for Grand Valley to push it into extra minutes. 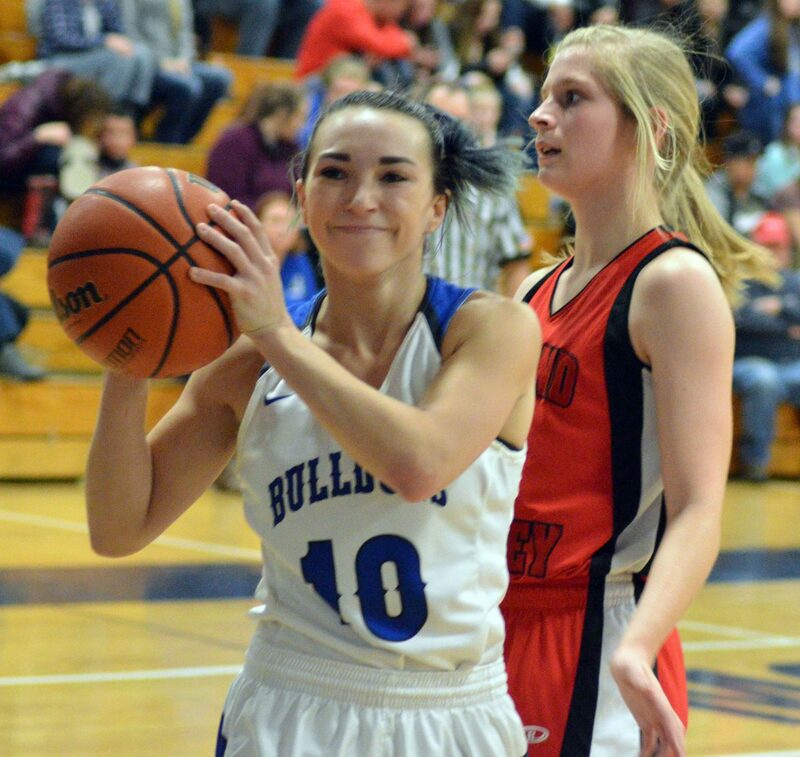 An inbound pass to the Cardinals’ Bailey Radel put the game in her hands, but the three-point attempt was no good, much to the delight of Bulldog fans. 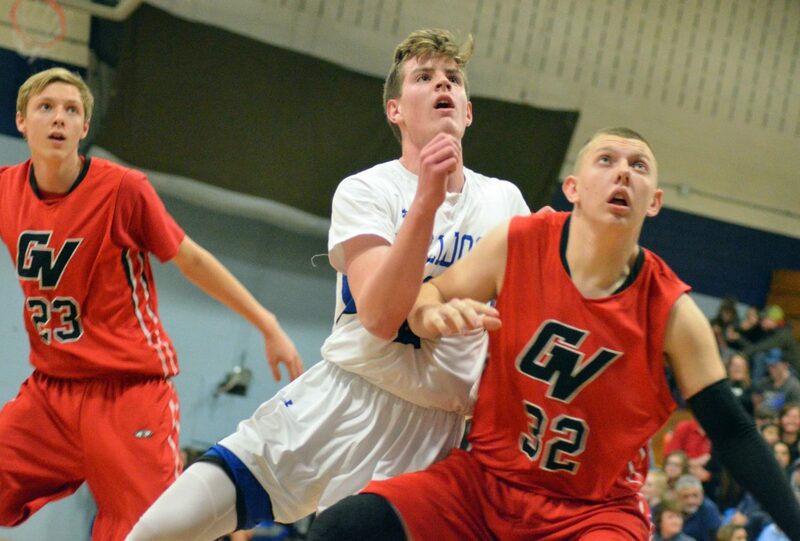 The loss was only the second of the season for 8-2 GV, who fell in overtime in a 53-51 game against Meeker. 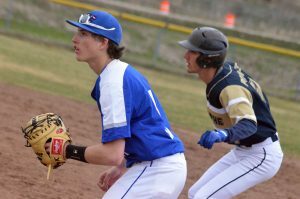 They’ll look for conference redemption as they host Aspen Saturday. 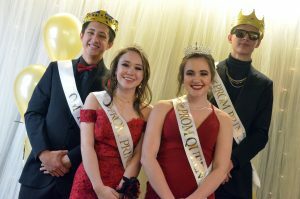 From there, Bulldog boys varsity sought to put on a good show for members of the crowd, who had their admission handled for the night thanks to Craig Association of Realtors. Both teams had long ball aspirations from the start as Cale Scranton and Wesley Counts nailed three-pointers in the first quarter. However, the Cardinals were draining threes like a freshly unclogged bathtub, as Wade Wiese alone hit three from outside, with one each for Emilio Garcia and Alex Cornejo to lead 17-13 after eight minutes. Torin Reed added one from the arc to begin the second period, and a free throw by Scranton tied it at 17. That was as close as the Bulldogs would get for the rest of the night. 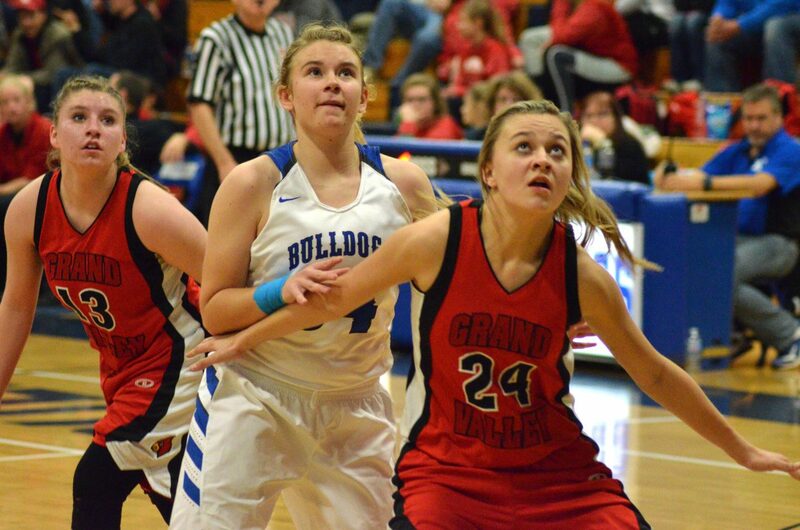 Aided by fouls, Grand Valley put together 10 points to respond, interrupted briefly by a free throw from Counts. As MoCo increased their pressure inside, the Cards went back to the perimeter, and Cornejo, Garcia and Blade McCormick each added one more tre heading into the break, with put-backs on the other end by Landen Najera keeping the Dogs alive but behind 39-27. Grand Valley remained ahead by double digits for the full second half, 53-38 going into the fourth quarter. 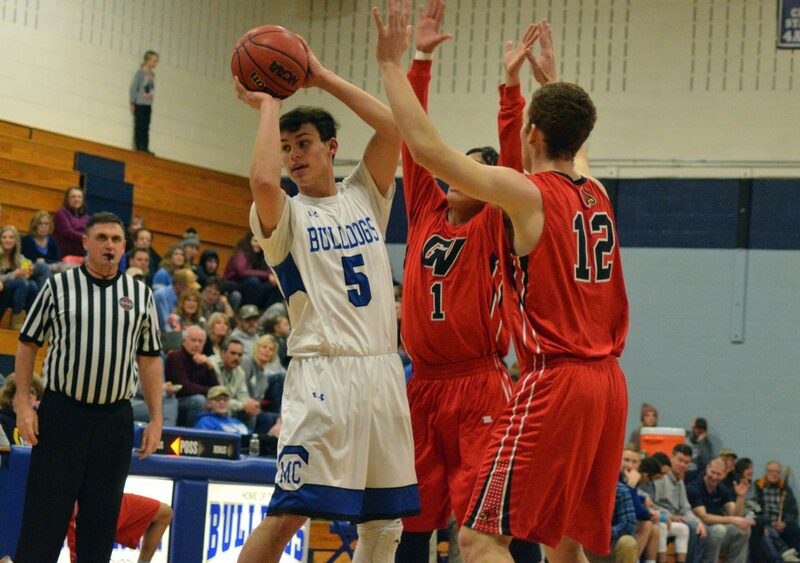 And, though Jerod Chacon and Connor Murphy got in on the three-spree for the Bulldogs, the Cardinals weren’t giving up much breathing room beneath the rim. 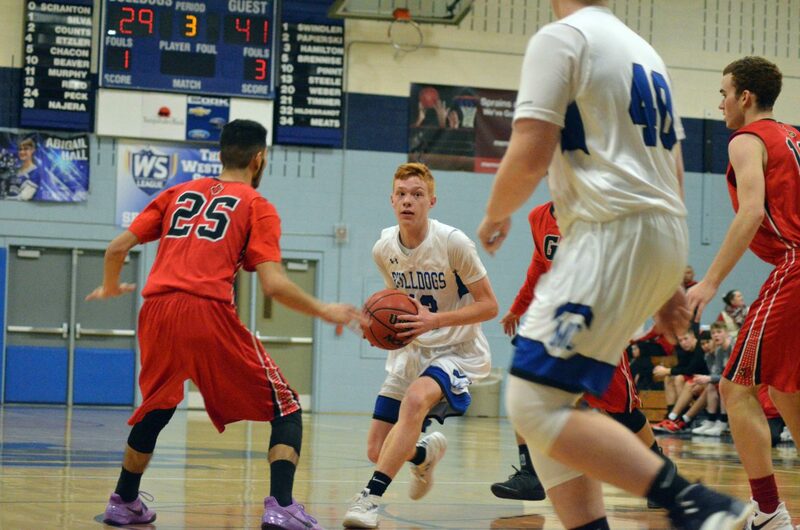 In his first varsity basketball game, Logan Hafey was among the cavalry sent in with about one minute remaining, sinking a pair of free throws as soon as he stepped on the court. 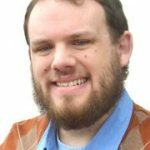 “They had really, really tough defense, they were just not letting us in there,” he said of the Cards. 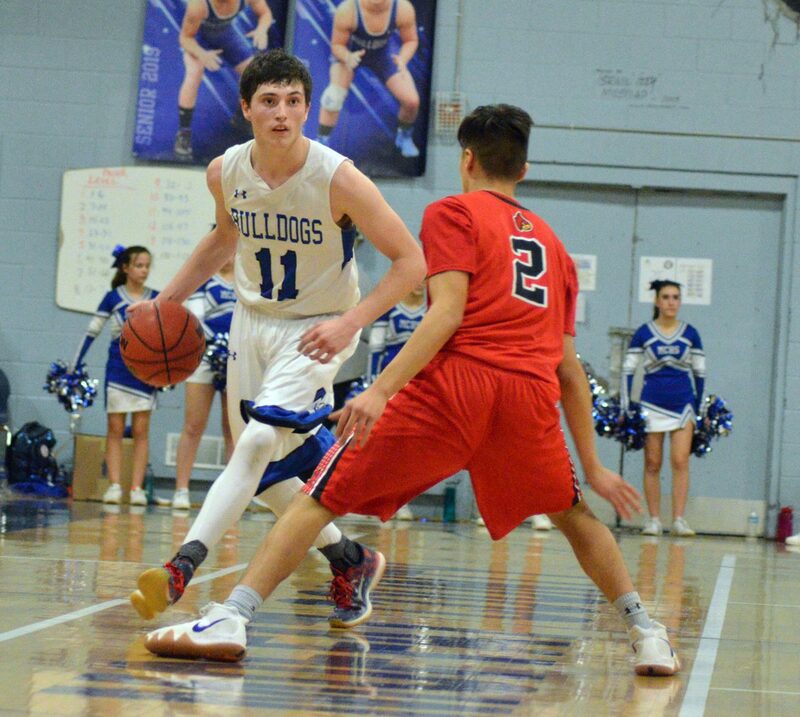 Bulldog hoopsters will have little time to rest with Saturday home games coming up against Cedaredge. 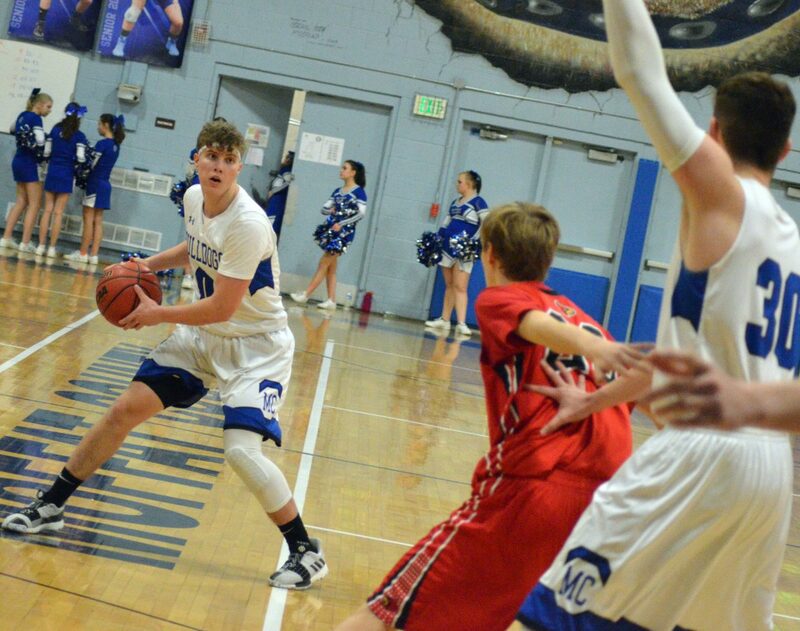 At 2-10, MoCo boys badly need a win, and while the Grand Valley game was humbling, it may have toughened them up for the Bruins, who remain in the middle of the conference at 4-5, playing their first match for league credit in Craig. “I think we can do well if we come out strong and work on what we didn’t do well tonight,” Hafey said. 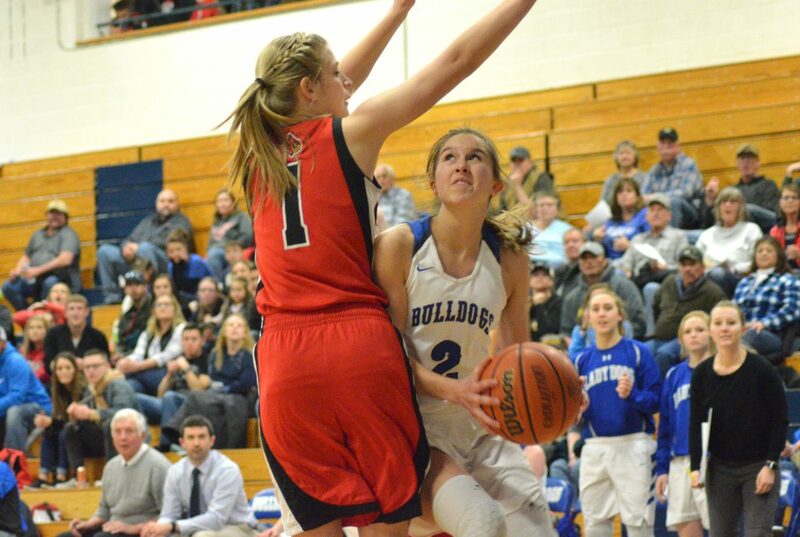 Alternately, 9-3 Lady Dogs will have another challenge in store against 7-2 Cedaredge girls, who fell to league leader Delta 57-36 in December tournament play. Their only other defeat was against Centauri, 45-40, a team which Moffat County also lost to by a five-point margin. “If we play like we did tonight, we’ll do great,” Timmer said.